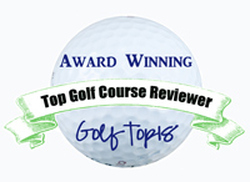 No golfer ever has had the success that Hale Irwin has enjoyed on Chicago courses. Not Fred Couples, not Mark O’Meara, not Bernhard Langer, not Tom Lehman, not even Illinois Golf Hall of Famer Jay Haas or Nick Price – the last winner of back-to-back Western Opens at Cog Hill back in the early 1990s. All of them will be trying to put a damper on Irwin’s extraordinary four decades of success here starting Friday when the 54-hole Encompass Championship tees off at North Shore Country Club in Glenview. Irwin won at Butler National (1975 Western Open), Medinah (1990 U.S. Open), Stonebridge (1997 Ameritech Senior Open) and Kemper Lakes (1998 and 1990 Ameritech Senior Opens). Like the three ASOs, the Encompass is part of the Champions Tour and the $1.8 million event is the circuit’s first in the Chicago area since 2002. The 50-and-over circuit’s return was due in part to campaigning by a group of players that included Irwin, who met with North Shore’s members as part of the negotiation process. Irwin’s no kid anymore, not even by Champions Tour standards. Once the circuit’s dominant player, he’s 68 now with a family that includes three grandchildren. He belongs to clubs in St. Louis and Arizona but uses them basically for practicing. Other than his tour appearances, Irwin’s golf is not the high priority it once was. But, the likely winners of this first Encompass Championship in Chicago (it made its debut last year in Tampa, Fla.), would seem to be David Frost or Langer, the circuit’s only two-time champions this season. John Cook, third behind those two on the circuit’s Charles Schwab Cup point standings, should also contend. 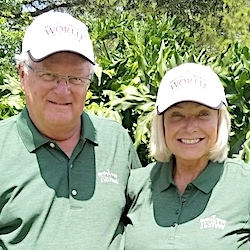 Couples and Kenny Perry, who split time between the Champions and PGA tours, are also in the mix along with Jeff Sluman, who has long called Burr Ridge his home base. All 81 starters will be paired with an amateur for two days of team competition – a tournament within the tournament. There’ll also be a celebrity component, though one of the originally announced celebs – Scottie Pippen – withdrew on Thursday. Pro-celebrity pairings, announced Thursday, have Larry Mize with Bears’ coach Marc Trestman, Couples with Toni Kukoc, Sluman with Brian Urlacher, Craig Stadler with Joe Theismann, Chien Soon Lu with Jay Hilgenberg, D.A. Weibring with Robbie Gould, Mark Brooks with Jack O’Callahan, Bobby Wadkins with wounded warrior Chad Watson and Don Pooley with Pat Foley. Couples thought he might be paired with Michael Jordan. Kukoc took up golf as his NBA career was winding down and will be – at 6-11 and a left-handed golfer – a striking figure on the course. He also can play. Last year he was the club champion at Twin Orchard in Long Grove. As far as the pro ranks go, the only notable late withdrawal was Fuzzy Zoeller and the only notable non-entry was Tom Watson. Otherwise the Encompass field is loaded with the sport’s stars of the past. Play begins at 7:15 a.m. with the last group going off at 1:34 p.m.